One area of your art business that should not be ignored is finance, especially your provision for tax and national insurance contributions. Failure to pay these can lead to fines or even imprisonment. There are other areas of your finances that you will also need to think about, such as pensions and making provisions for the months when business is slow. If you live in the UK, work and earn wages then you need to pay income tax. 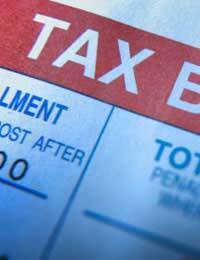 There are several tax brackets depending on the amount that you earn. These brackets change with almost every budget but your tax office will advise you off the current levels as will your business advisor or accountant. When you run a business you will have to produce accurate accounts for inspection at the end of every tax year. From these records the Inland Revenue will be able to work out what you owe in taxes. You must make sure that you have made allowances for this tax bill otherwise it might come as a shock when it arrives, especially if the business has done well. Again, it is imperative that you get an accountant to help with your books to ensure that you have claimed for everything you are entitled to. As you will be classed as self employed you will have to fill in you self-assessment tax forms and to be able to complete this form you will need to have proper records. You must register as self employed within three months of beginning trading. Your local tax office will help you fill in the necessary paperwork to register and when the time comes you will be sent the assessment forms. In this age of computerisation even your tax returns can be done online. Once the Inland Revenue have all the information they require to work out your tax they will send you a statement of account detailing the amount owed along with your payment plan. Your tax will be payable in three instalments over a year in the following tax year to the one billed. You must notify the National Insurance office that you have gone self employed as you will have to pay self employed insurance rates. This is due on a twelve weekly basis at a reduced rate. It may affect your pension entitlement as it is a reduced rate, but it is in your best interests to pay it. You can opt out from payments if you have a very low income. If your pension entitlement is reduced you can make your own arrangements by taking out a stakeholder pension for people on low incomes. If you have other investments such as ISA’s or savings it may affect your suitability but a financial advisor will be able to help you provide for your future. It is of vital importance that you get all your finances in order and keep them that way to avoid getting into trouble by not providing for tax, national insurance or your future.